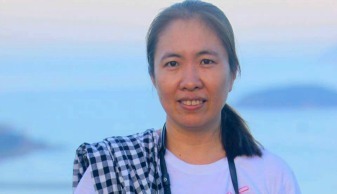 Human rights activist and blogger Me Nam was arrested in October 2016 and was sentenced to 10 years in prson on charges of “conducting propaganda against the Socialist Republic of Vietnam” We believe that Me Nam is being targeted for peacefully exercising her right to freedom of expression. PEN International and The Norwegian Writers in Prison Committee hereby urge you to quash the conviction and 10-year sentence of blogger and human rights defender Nguyen Ngoc Nhu Quynh, also known as Me Nam. Me Nam was arrested in October 2016 and has since been convicted of “conducting propaganda against the Socialist Republic of Vietnam” under Article 88 of the Penal Code. We believe that Me Nam is being targeted for peacefully exercising her right to freedom of expression. Via her blog and social media, Me Nam has shared her opinions on social, economical, political, environmental and human rights issues. As a result of this Me Nam has dealt with consistent harassment from Vietnamese authorities, concluding now in this 10-year prison sentence, which violates Article 19 of the International Covenant on Civil and Political Rights (ICCPR), of which Vietnam is a state party. In Article 19 it is clearly stated that “everyone shall have the right to freedom of expression (…) in writing or in print (…) though any other media of his choice”. We therefore strongly urge you to quash Me Nam’s conviction and release her immediately and unconditionally. We also urge you to repeal Article 88, as well as other national security provisions that criminalise dissent in breach of international human rights law. In addition we urge you to immediately and unconditionally release all other writers and activists imprisoned or detained for the peaceful exercise of their right to freedom of expression, in accordance with Article 19 of the ICCPR.